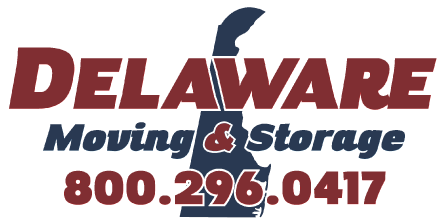 Delaware Moving & Storage packers are trained to protect your household items by using materials and packing methods that meet and exceed industry standards. Items such as dishes and glassware are carefully packed into cartons called “dish packs,” specially designed for breakables. Pots, pans and other durable items do very well in a medium carton. Soft goods such a pillows and clothing are packed safely in a large carton. When your clothing on hangers is packed in wardrobe cartons, your clothing arrives at your new home in ready-to-wear condition. Some pictures, wall hangings and mirrors are packed in four-piece picture cartons; others might require custom-made wooden crates.